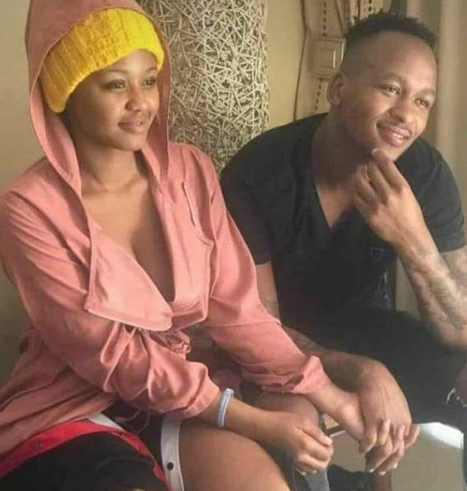 Former Kazier Chiefs shot-stopper, Nhlanhla Brilliant Khuzwayo has decided to set the record straight regarding rumours that he is Babes Wodumo’s new bae. This comes after a picture of the two holding hands made the rounds on social media fueling speculation that they are an item despite them denying it on numerous occasions. Just last week, Babes told Isolezwe that there was nothing going on between the two of them and now Khuzwayo has reiterated that. READ: BABES: WE’RE NOT IN A RELATIONSHIP! “ I would just like to set the record straight that we are not dating we just friends, I think we should stop twisting things around, so what if we were holding hands? So now I can't hold my friends hand? Come on guys let's grow with the time,” Khuzwayo said on Instagram.